First Page of Paramount Able Archer 83 Report Declassified by British Archive; Remainder of “The Detection of Soviet Preparations for War Against NATO” Withheld. My racing heart sank as I turned the page and realized that these questions would, at least for now, remain unanswered. 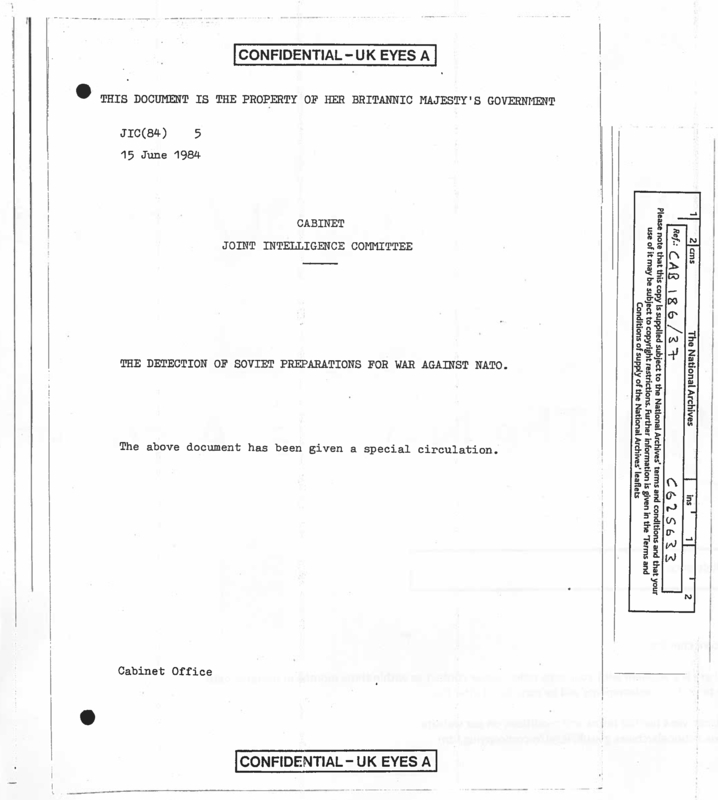 The British National Archive had released only the cover page of the report. The rest of this key historic document –despite its age of over thirty years and the British government’s professed and lauded “Thirty-Year Rule”— remains censored by the British Cabinet Office. 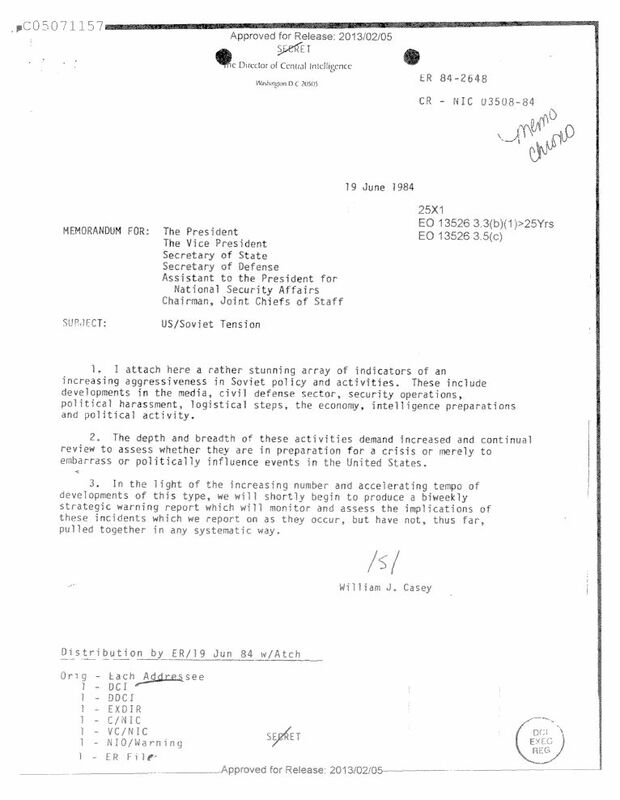 The same debate within the US and British governments over the extent of the Soviet “dimension of genuineness” of fear of a NATO attack is now continued by historians. 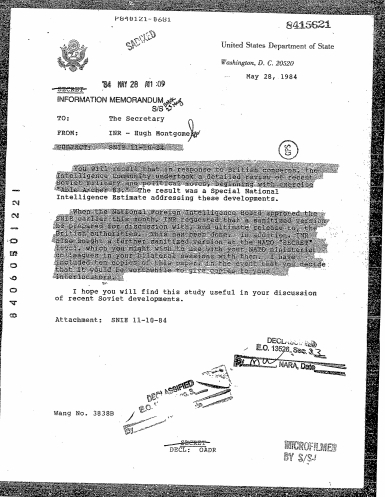 To answer criticisms that the study of the Able Archer War Scare was “an echo chamber of inadequate research and misguided analysis” and “circle reference dependency,” with an over reliance upon “the same scanty evidence,” the National Security Archive has posted and analyzed more than 1,000 pages of declassified documents on the topic. 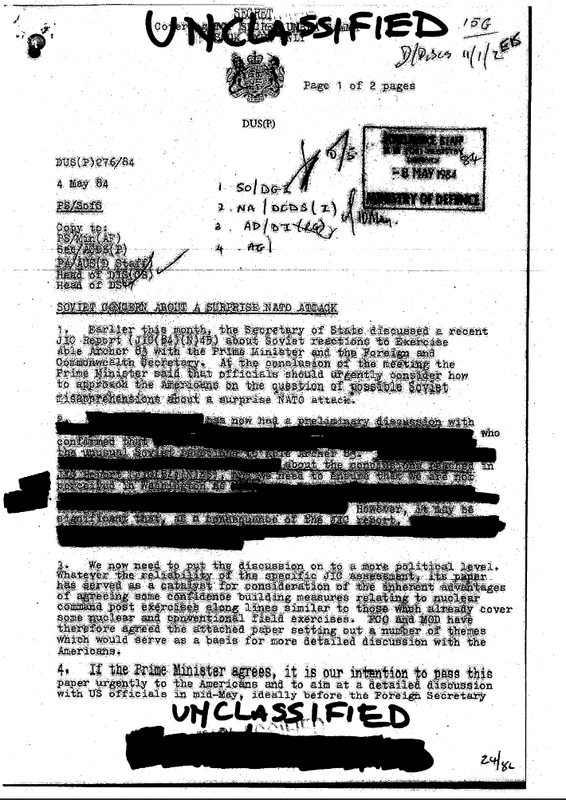 But this key document’s withholding3 continues to obscure understanding of one of the most important nuclear episodes in our history. As we wrote in our pending appeal to the British Information Commissioner, the British Cabinet Office’s decision to continue withholding this thirty year document –especially considering the multitude of other British, American, Russian, German, and former Eastern Bloc releases— harms the public interest and obscures history. It’s sadly ironic that the government which first alerted the US to the potential nuclear danger of Able Archer 83 is now leading in its concealment.